I love eating out (obviously) but I also cooking at home, and I’m happy to say I’ve been making more time so far this year for home cooking! The more I cook, the more I realize—a lot of really good recipes don’t actually involve a lot of ingredients or a lot of time. It can be quite simple to make and still packed with flavour. Another thing that’s been happening as I do more homecooking is return to a lot of favourite, comforting dishes I grew up with. That’s what the Alberta Wheat Commission wants to remind you as you’re cooking at home too and that’s why I’ve partnered with the Alberta Wheat Commission on this sponsored post to highlight their campaign “Life’s Simple Ingredient”—in this case, wheat! Wheat is the simple, vital, essential ingredient in breads, pastas, pastries and more. Some of the most comforting foods you grew up with and most comforting foods you continue to eat today couldn’t be without wheat. Rediscover your love of wheat by visiting Life’s Simple Ingredient and trying their delicious, simple recipes! Life’s Simple Ingredient is a reminder that wheat is awesome. It’s the world’s original staple ingredient. The foods that includes wheat is comforting and delicious. 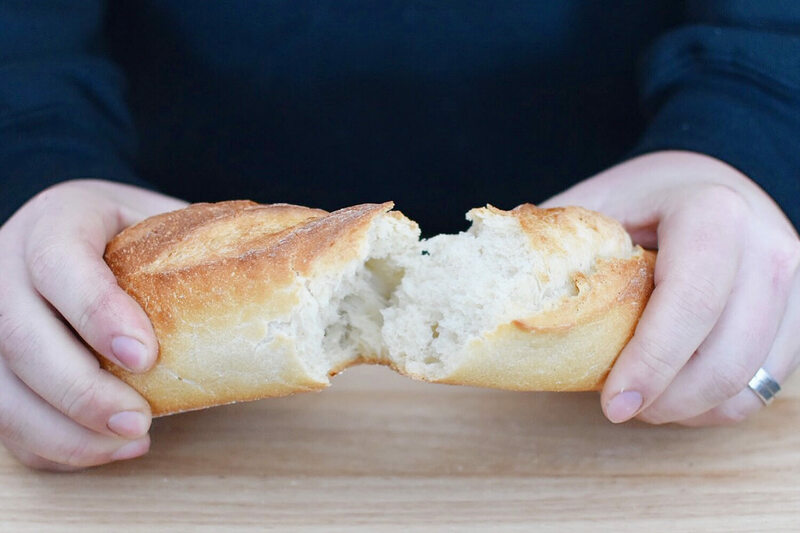 Wheat is essential to some of your favourite foods—breads, pastas and pastries! 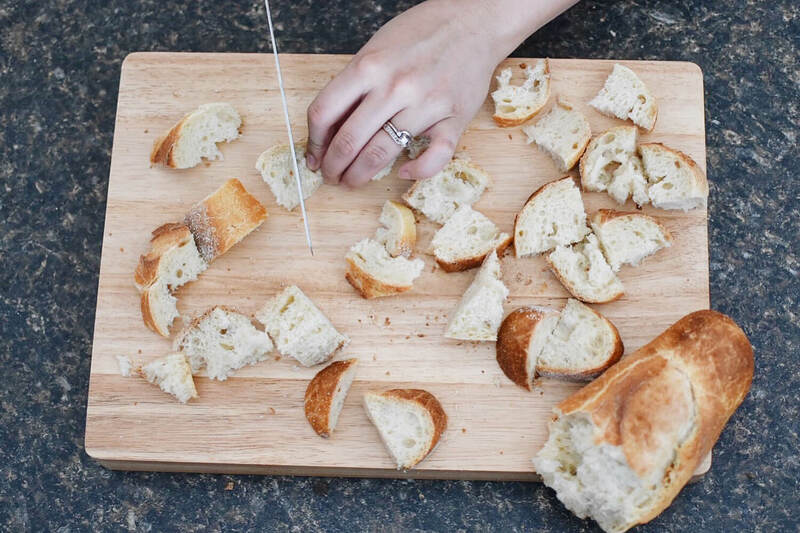 To help you rediscover your love for wheat, the Alberta Wheat Commission has put together Life’s Simple Ingredient: a great website packed with delicious recipes featuring wheat. If you never stopped loving wheat (woo hoo!) then this website is a great resource too. Wheat is one of the world’s oldest and original staple ingredients. You can find a great, simple recipe for all meals of the day, but one dish that caught my eye was the Herb and Tomato Wheat Bread Salad. The delicious and simple Herb and Tomato Wheat Bread Salad! Recipe courtesy Life’s Simple Ingredient (Alberta Wheat Commission). 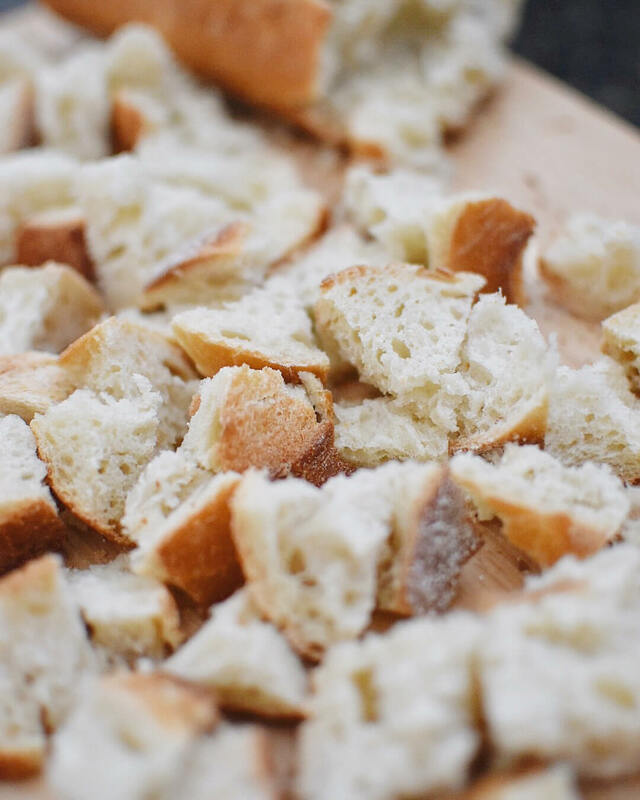 Cut bread into bite size cubes. 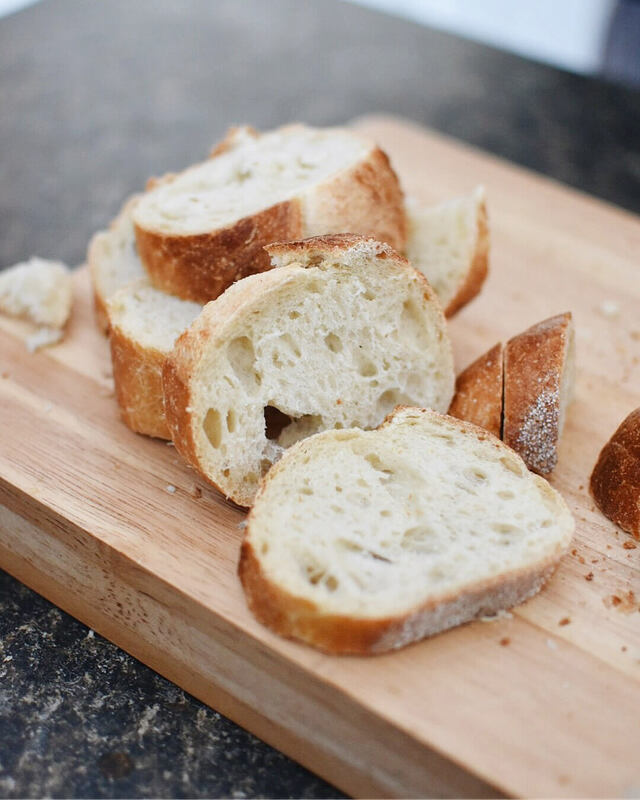 If bread is still soft, toast in a moderate oven to slightly dry. 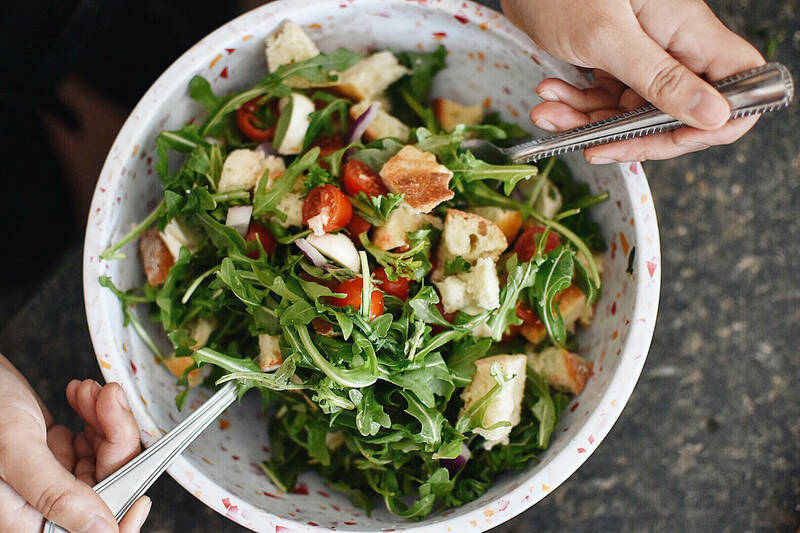 In a large salad bowl combine bread cubes, tomatoes, mozzarella, olives, onion, arugula, basil, parsley, and oregano. Keep refrigerated until ready to toss with dressing. Up to one hour and at least 30 minutes prior to serving, toss with salad dressing to moisten, but not make bread mushy. Leave at room temperature until serving. The Herb and Tomato Wheat Bread Salad recipe from Life’s Simple Ingredient was so quick and easy to make! A delicious and bright bowl. 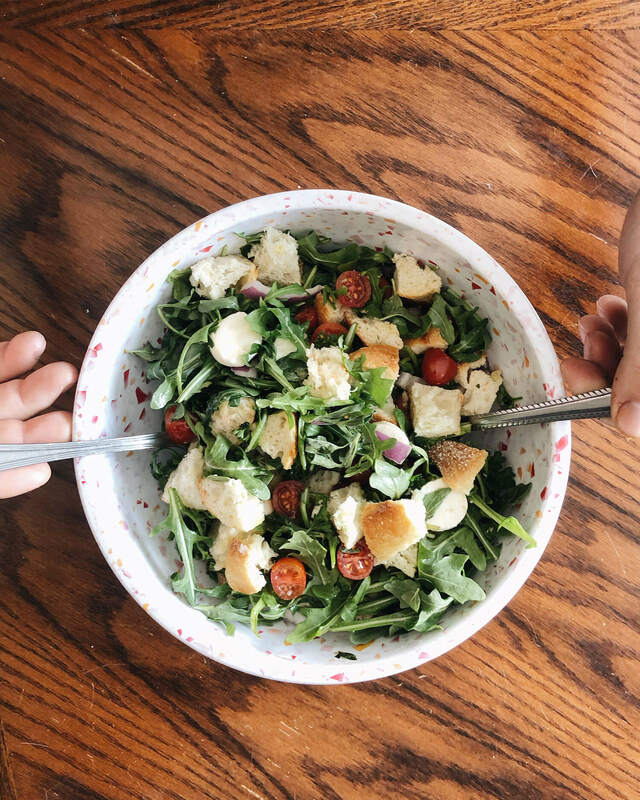 This is just one of the simple but packed-with-flavour recipes featuring wheat that you can whip up pretty quickly if you’re considering a salad option for your home cooked meals. Some other wheat recipes I’m planning on making include the Wheat and Potato Pan Bread, Homemade Pierogies, Harvest Breakfast Strata and Crustless Quiche! Disclaimer: I partnered with the Alberta Wheat Commission on this sponsored blog post to help promote their Life’s Simple Ingredient campaign. This does not impact the opinions stated in the post. I love colourful, flavourful, and simple salads (also the most wheat-filled food of all: pasta!) and I’m always happy to spread the word about local, Taste Alberta ingredients.